Not being a mother, I can't say I'm up on a lot of the lingo and other terms that go along with having children, caring for babies, etc. The other day I learned a new term for something I'd seen before but never realized there was an actual "term" for it. For those of you that don't know what this means, this term is in reference to any type of "baby transport" where you are using a sling or other form of carrier to "wear" your baby instead of carrying it in your arms. I was first introduced to this idea with back packs made for baby and have more recently become an admirer of the sling. 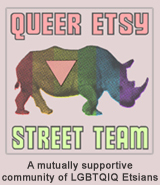 Today's shop, BabyEtte on Etsy, is filled with these amazing and useful pieces. 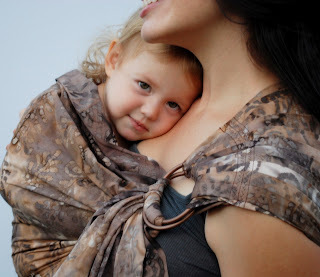 Slings can be worn in a huge variety of ways from frontal "backpack" style to cradled baby, etc. And if you take a look in BabyEtte's shop, you'll see just how wide a variety of ways you can wear these inventive pieces, too, because the shop owner has been sure to photograph these wonderful items in all different configurations. BabyEtte is focused not just on providing a safe and comfortable way to carry (wear) baby, but the owner also feels strongly that their slings should be beautiful. You won't find licensed characters or juvenile prints in BabyEtte. Instead, since the slings are going to cover up most of your outfit anyway (which is good when your shirt has been used as a hanky) the slings are made in a style that you would want wear anyway. 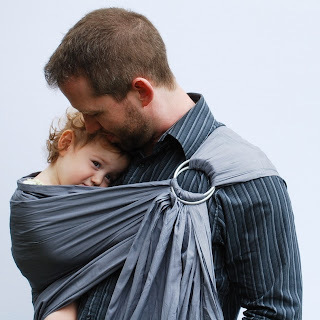 The slings in this shop offer versatility, beauty and a safe way to carry your baby without juggling from arm to arm and other frustrations. They're the perfect gift for baby showers and expecting mothers as well. YOU CAN CLICK ON THE PICTURES ABOVE TO VISIT THE BABYETTE SHOP ON ETSY AND TAKE A LOOK AROUND OR, IF YOU PREFER, CLICK RIGHT HERE. You may also enjoy visiting BabyEtte on their website or on Facebook or Twitter! I love your baby carrier. I don't have kids, but if I did I would get one. They look comfortable! Wow! These are beautiful and so stylish!! !